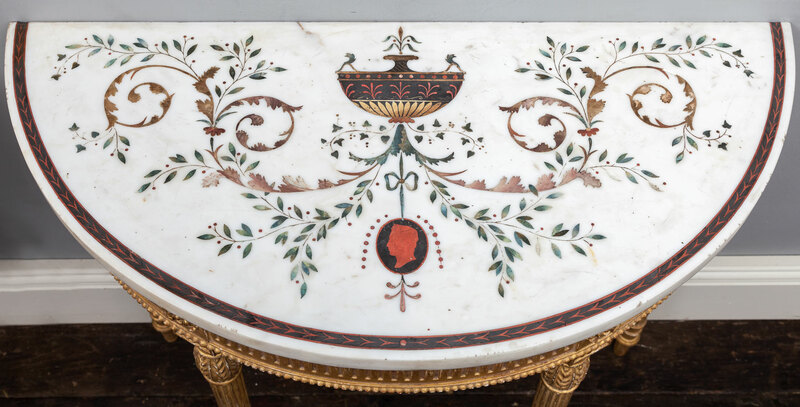 The statuary marble table tops are demilune in shape and beautifully inlaid with scagliola of various complementing colours. 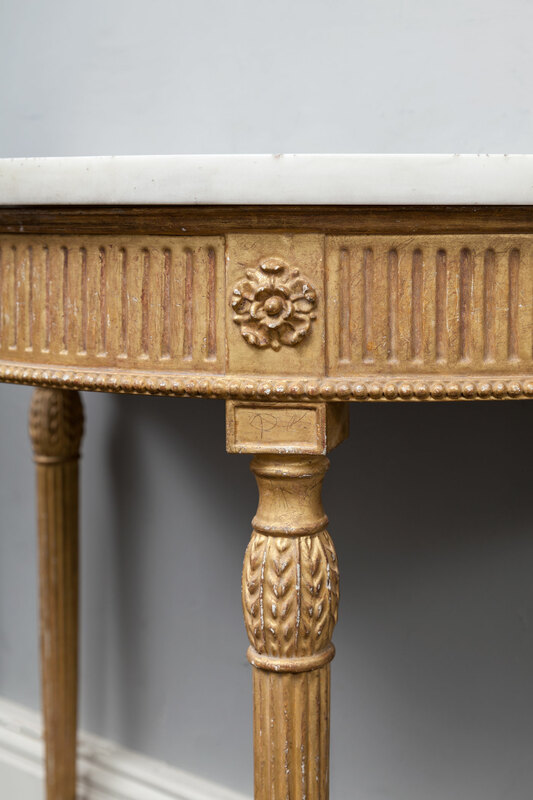 The neo-classical design consists of arabesques, classical urns and side profiles of Roman Emperors. 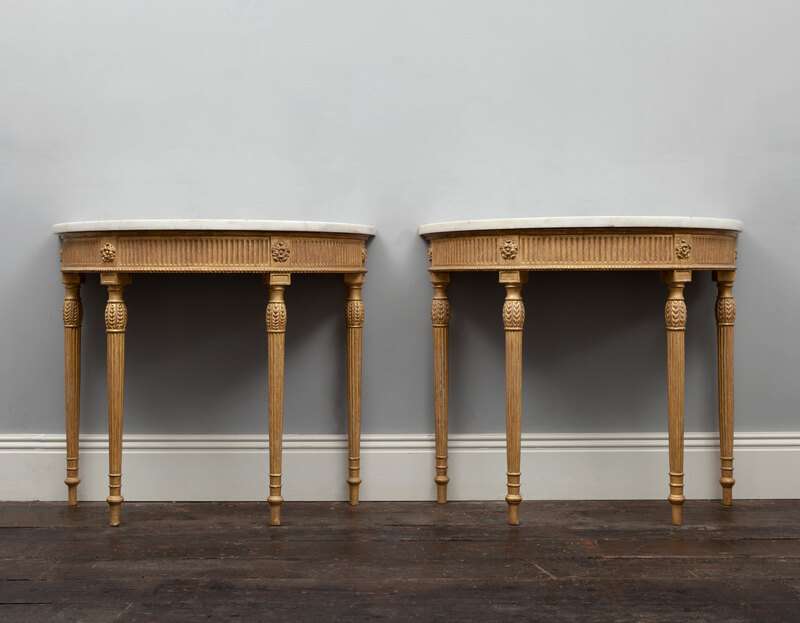 The carved and giltwood table bases with four turned and reeded legs, paterae blocks and fluted frieze. 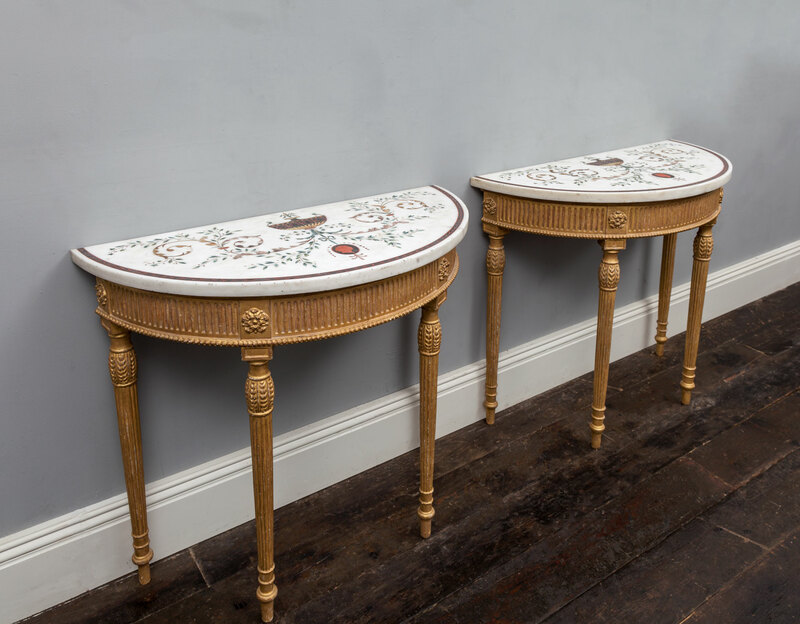 The tops are 18th century with the giltwood bases being later. Pietro Bossi, the great Italian sculpture. 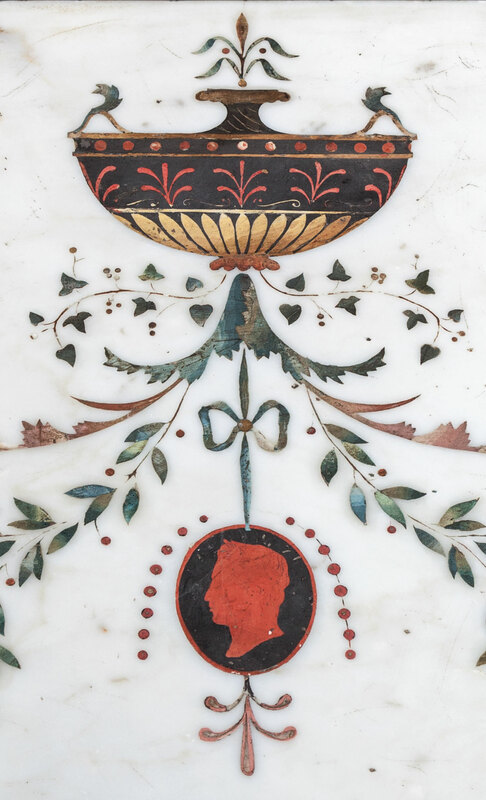 His speciality was inlaid coloured marble. He was brought over to Ireland towards the latter part of the eighteenth century by Lord Clanricarde to execute some work, and he was so jealously afraid of being imitated that he gave orders, no one was to inspect his work before it was completed. As a safe guard he sprinkled sawdust around whenever he left the scene of his labour. One day, when he came back from dinner, he saw foot prints on the sawdust, and without waiting to ask for an explanation he immediately packed his baggage and returned to Italy. No amount of persuasion on the part of Lord Clanricarde could induce Bossi to re-visit Ireland, and this was much to be regretted, as his work was exquisitely beautiful, and evidenced great skill and taste.